Year-round docents provide Museum tours to visitors of all ages. They are the primary educational outreach to students, visitors, and the Columbus community. Docent volunteers undergo an extensive five-month training period that focuses on critical thinking skills, museum education principles and practice and the Museum’s permanent collection and special exhibitions. 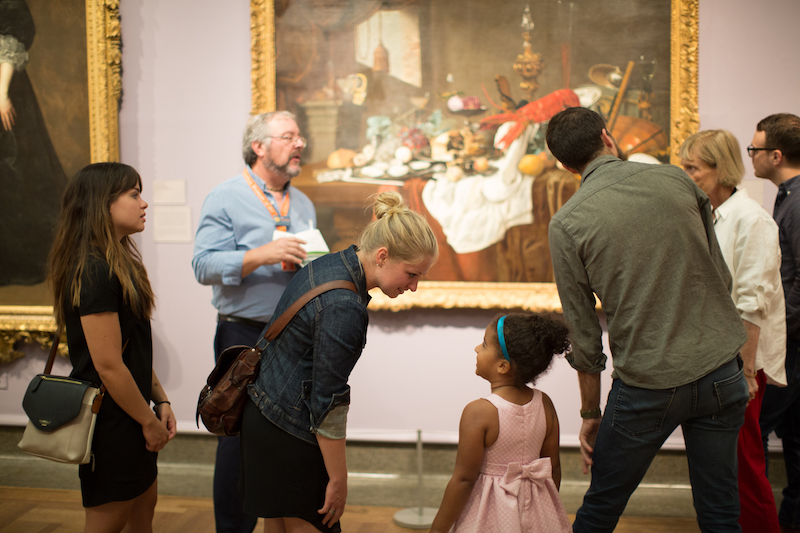 Docents agree to serve for at least two years as gallery educators following their training. They also enjoy social events as well as local, national, and international art trips. Consider attending the Information Session for the Class of 2019 on Thursday, July 26, 2018 from 4:00 PM – 5:30 PM in the Talmage Conference Room at the Museum if you are interested in learning more about our robust Docent Program. Application materials for the 2018-2019 class are due by August 15, 2018. Click here to download the application. If you would like information about the upcoming docent class, please email Stephanie Samera. Previous Previous post: Can Anyone Lead for Inclusion?